Red Dead Redemption 2 (RDR2): the life of the Wild West. 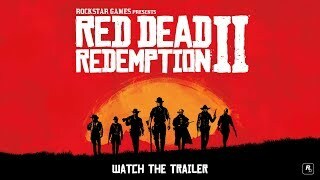 I didn’t manage to cope with the dust after the adventures in Red Dead Redemption, when Red Dead Redemption 2 comes to its heels But, although the developer in the face of the company Rockstar Studios diligently stores information relating to the plot and other game subtleties, gamers and journalists sometimes manage to collect it bit by bit. 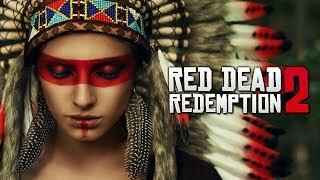 Thanks to the research, it became known that a Western person from an outsider is a prelude, or as they say the Red Dead Redemption prequel. Such a conclusion was made when the authors mentioned that they were working on the mechanics of the movements of John Marston, who, as we know, rested with the world. If you remember, in the last part, John abandoned his further career as a thug, and went over to the side of the law. Rather, he was forced to do so circumstances. Whatever you may say, but a family is a powerful tool of pressure if a skilled hand takes possession of it. To return to normal life, his wife and son, the hero has to help the public services to catch his former accomplices. To catch Bill Williamson, Javier Esquella and the Dutchman, Marston rushes across the West and crosses the border with Mexico, and even comes under the command of Abraham Reyes, helping the rebels. But even when the former friends are in the hands of the agents of the bureau, in which the hero was now listed, he was not given the promised freedom. There is still “Golandets” the most dangerous of all. Once John drove him into the mountains, but he just jumped down, committing suicide, and at the same time giving his pursuer freedom. Returning to the family, not long Marston enjoyed the idyll. Once the farm was attacked by an army of agents of the bureau, and the hero again had to fight. His wife and son miraculously managed to escape and hide from the raiders, but John himself is dying, because there were too many attackers. These events unfolded in 1911, and the next frame transported the player in 1914, when John’s grown-up son, Jack, at the grave of parents vows to avenge their death. So there is a new character, following in the footsteps of Edgar Ross, in order to overtake him in Mexico and kill in a duel. Now he is also outlawed, and it would be correct to assume that Red Dead Redemption 2 is now to be played on his behalf, but no. If John Marston reappears in the frame, this means that this toy tells a story where the hero is not only alive and well, but has not yet had time to change his priorities. So, if you download Red Dead Redemption 2, you will have to participate with him in his gangster adventures, until the trail of history leads to a fateful moment. Who expected to see in this list the PCs will be disappointed. Even in the previous game, this feature was not implemented. Although players are constantly asking for the opportunity to play on the PC in Red Dead Redemption 2, the developers honestly say that they have little interest in what others want from them. No doubt remains that in Red Dead Redemption 2 (RDR2) users will have a rich selection of weapons, not inferior to the former arsenal, divided into groups. There will be lasso, knives, revolvers, rifles of various types, shotguns, torches. There are no chases, shootouts, duels and missions for joint or single execution anywhere. As you open a huge open world, it will explore. You will meet new and familiar faces, will get trophies, completing exciting quests. In the Wild West, it is still dangerous, so watch out!